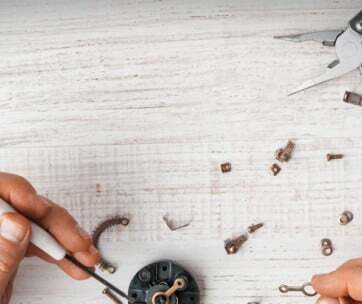 Handymen everywhere look for a pocket tool that comes with a number of different functions to help them perform a variety of tasks without necessarily having to bring an entire toolbox with them. 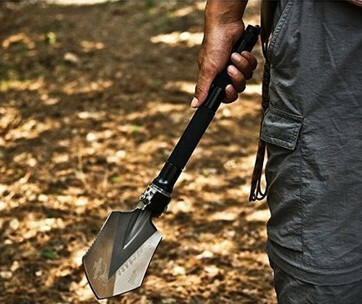 Anglers, campers, outdoor adventurers, military personnel, rescue personnel, and even survivalists also require such tools to be with them whenever they head out into Mother Nature’s domain. When DIYers, handymen, and survivalists talk about multitools, one of the names that they put their trust on is Gerber. One of these is the Dime Multi-Tool. But is this handy multi-tool really up to the task? Let us find out. 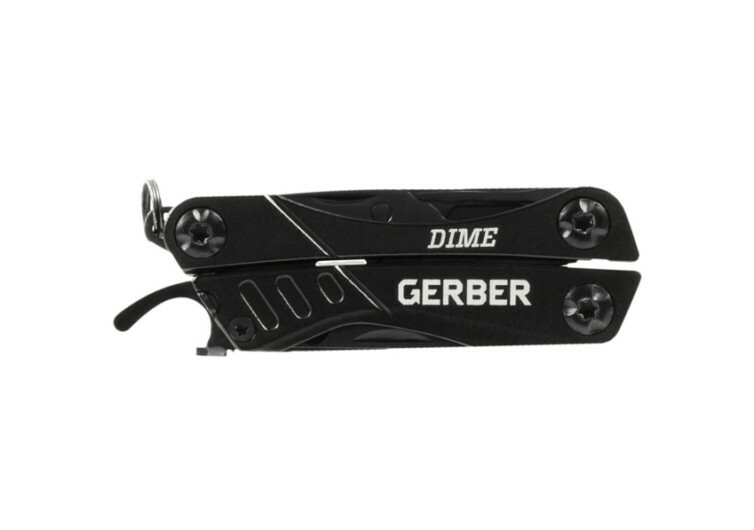 The Gerber Dime Multi-Tool integrates 12 different tools in one convenient, easy-to-use, lightweight, and compact needle nose plier-based design. Unlike other multi-tools that use a folding knife as its base, the Dime comes in a plier configuration allowing more tools to be fitted in each handle of the pliers. The plier itself is spring-loaded so it opens a lot easier than conventional pliers. It also doubles as a flat or standard plier, perfect for a variety of applications. At the junction of the pliers is a wire cutter, ideal for those who have to work with electrical wires and other similar items. The Dime comes with a butterfly opening mechanism, affording you unhindered access to the different tools neatly tucked underneath each handle. There’s a spring-loaded scissors on one handle plus a medium-sized flat head screwdriver, fine and coarse file, cross driver, and the lanyard ring for attachment. The other handle houses a removable tweezers, an integrated bottle opener, a retail package opener, and a fine edge blade. 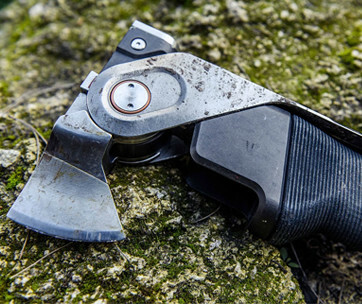 The multi-tool is constructed of sturdy, hardened stainless steel which gives it an amazing durability that should last several decades of abuse. While some would have wanted some form of designs on the Dime, its black finish nevertheless gives it a more polished, more refined look. Of course, other color designs are available for those who have grown tired of using black-colored tools in their work. When fully closed, the Dime only measures a remarkably short 2.75 inches. This makes it easy to slip inside one’s pocket or even thrown into one’s purse. Fully extended, the Dime only adds about 1.5 inches to its closed length at 4.25 inches. It is still very compact considering that you have 12 different tools crammed into its 4 x 0.6 x 2.75-inch frame. And at only 2.2 ounces, you won’t even feel there’s a multitool in your pocket. 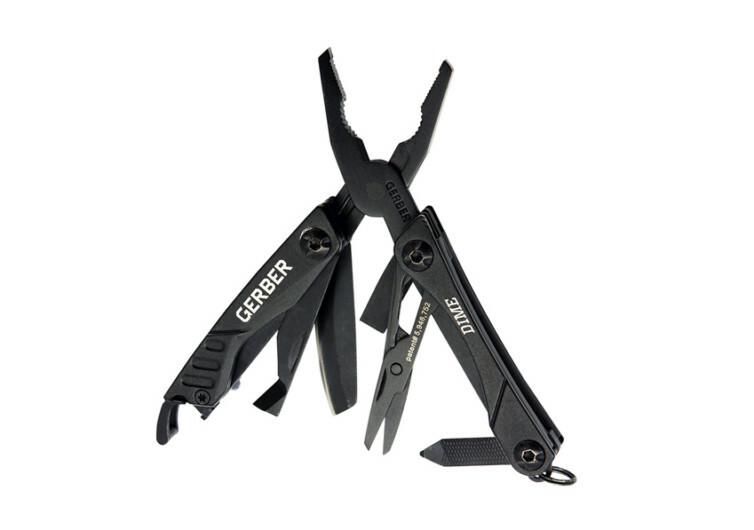 The Gerber Dime is a very small yet fully functional multi-tool. No larger than the length of a credit card, the Dime may look miniscule but it can get the job done that other tools cannot.